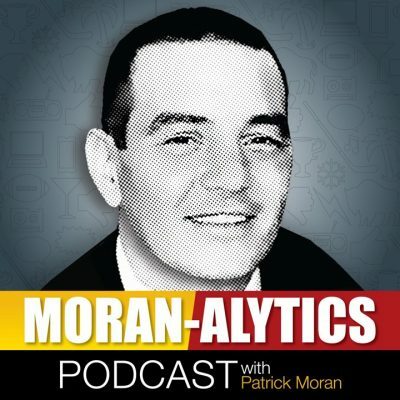 On this episode of the Moran-Alytics Podcast, Patrick Moran interviews WGRZ-TV Sports Director Adam Benigni on a variety of topics. The two chat for nearly an hour and we get all the details of Benigni’s journey from a youth growing up near Boston all the way to his 20-year plus and counting career at WGRZ in Buffalo. There were many stops and decisions along the way that shaped his journey, especially deciding to attend Syracuse University for college after being accepted at two other schools, including USC. Benigni discusses how the opportunity to join WGRZ in 1997 came about and that on his very first day the Buffalo Sabres hired Lindy Ruff as their head coach. Adam has several takes on a number of sports media topics, including being able to balance the line between friendship and competition when it comes to his colleague and how it’s been covering Terry and Kim Pegula since they became owners. They also spend time talking about a serious bicycle accident in the fall of 2016 that saw Adam struck by a car while riding his bike, causing a severe concussion and other significant damage to his body including dental. He discusses his road back to recovery and his passion for cycling, including being a big part of the annual Ride for Roswell which raises money for cancer research. Before wrapping they spend a little time talking about the dismal Buffalo Sabres and finishing with the Mini-Lightning round, where we learn Adam’s fond of Florence (Italy), cooking and would love to be able to rock out a U2 song at karaoke. You can follow Adam on Twitter at @AdamBenigni and check out his work at WGRZ-TV online if you’re not in the Buffalo market to see the local news on television. After Adam’s interview Joe (@BuffaloWins) joins for another installment of ‘The Run-In With Joe.” Today it’s all about Wrestlemania 35 and the guys have a full preview. Moran runs down all the matches while Joe has insight and a prediction for each. The two disagree on a handful of them, including Kurt Angle losing his retirement match, Roman Reigns vs. Drew McIntyre and the Uso’s retaining the Smackdown tag team title. They also discuss how Kofi Kingston could end up getting screwed over again, what may happen if Ronda Rousey isn’t taking time off after Wrestlemania and what John Cena’s role in the show will be. Joe ends the segment with a final take on what he perceives to be a weird act among some Buffalo Bills fans.